Home Lifestyle How Painful Is It To Get A Tattoo? When it comes to tattoos, one of the most commonly asked questions: Does it really hurt to get a tattoo or How much does a tattoo hurt? Any tattooed man will confirm that such a question has been really asked him/her hundreds of times. And if you`re also genuinely interested in this question, you actually want to get an honest and objective answer. Desire Or Fear – What To Choose? Maybe you’ve already heard a lot of emotional stories around that theme in which someone claims that it`s a hellish pain and someone says that he almost fell asleep while being tattooed. Besides, you could even hear that some people pass out. Please, don’t hurry to count yourself among them! Of course, after such horrors, you`re most likely to start wondering in your wish for getting tattooed as you don`t know who to trust. So it’s really no surprise that you need to look for the truth is somewhere in between. The process of getting a tattoo is a uniquely personal experience and there are many different factors that can help to make this process either a pleasant or painful one. Well, you`ll never know how painful it is unless you try! That being said, how bad a tattoo hurts isn’t a simple question. Moreover, there is no consensus regarding the feelings that you are likely to experience when you’re getting tattooed. scratching: when the tattoo machine moves across your skin, it may feel like a real scratch. Besides, if your artist is shading rather than doing the outline work, you may feel this pain more. stinging or sharp: while getting inked the needle penetrate deep into the skin, causing it to feel stinging or sharp. Usually, you can feel this type of pain during outlining or adding some fine details. burning: this pain isn`t so much intense as scratching or stinging, but it’s awfully annoying. Such pain may be felt either on the areas that are repeatedly worked on by the tattoo machine or on the areas where a bit more fat beneath the skin. vibrating: this quite a very strange feeling you may also experience when getting a tattoo. You are likely to feel this type of pain when you’re being inked over anywhere bony. dull: as crazy as it sounds, but everyone would like to experience this type of pain instead of any other listed above. Dull pain is a defense reaction of your body to the current trauma, namely, your tattoo. But on the plus side, you can make this pain go away by talking to your artist, watching TV or listening to your favorite music. Remember, everything is relative in this case as well as tattoo designs (rose tattoos for men are as popular as rose tattoos for women!). By the way, there are many variables that can influence what getting a tattoo feels like, for example, artistic ability, your tattoo pain tolerance, size of the tattoo and its location on the body. Which Body Parts Hurt The Most? 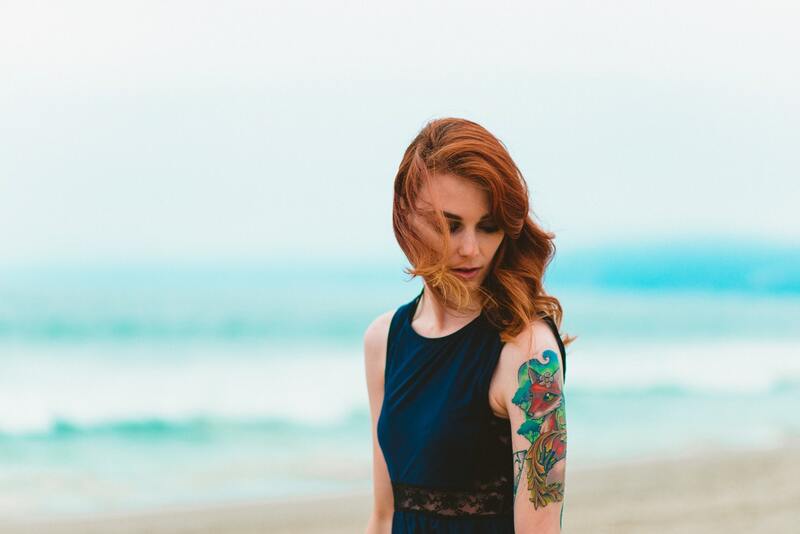 Choosing the area of the body where you will get a tattoo is one of the most important things that can decrease your tattoo pain. Do hip tattoos hurt? Or maybe ankle tattoos are more painful than hip ones. Stop guessing! 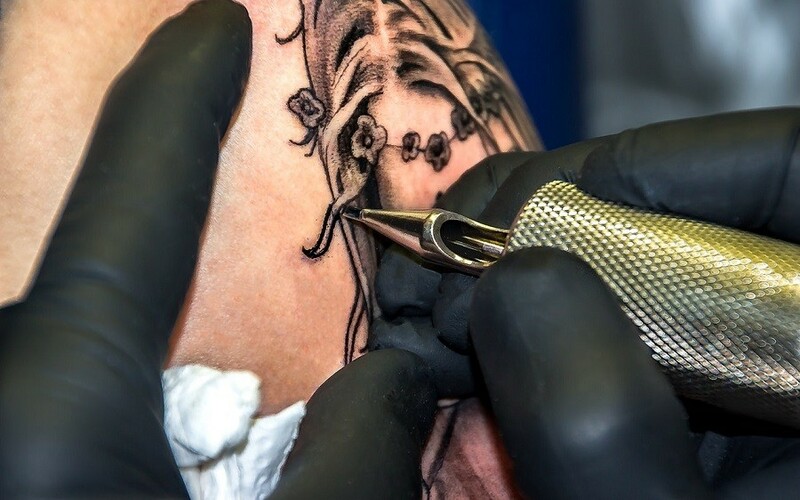 Before visiting the tattoo parlor, you need to find out the most painful places to get a tattoo and try to make the right choice! So picking the location for your wonderful tattoo, don`t forget that head, neck, lower and center back, inner arm and ankle are the most sensitive parts of the body to tattoo. ask your artist about aftercare instructions and follow them carefully. Well, your tattoo will hurt, but as a result of a few hours of pain, you`ll get an awesome and meaningful piece of art on your body for the rest of your life!